English Bay Beach, uncommonly known as First Beach, is the most populated beach in the Downtown Vancouver area. Located near Denman St and Davie St, there is a plethora of restaurants, coffee shops and bars to visit during a day at the beach. 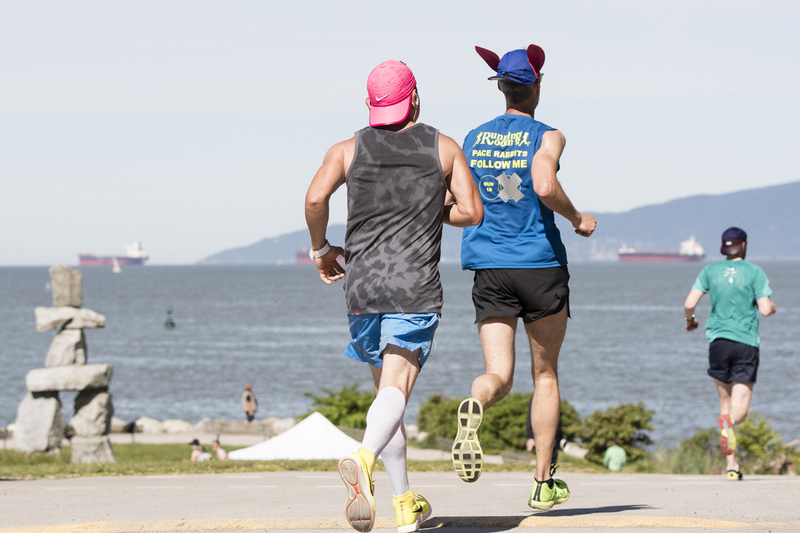 Backed by the Stanley Park Seawall, there is a never-ending stream of walkers, runners, cyclists and rollerbladers passing by. There are lots of activities available in English Bay including stand-up paddle boarding and kayak rentals, entertaining street musicians, and a swimming raft with a large slide in the middle of the water. Something is always happening throughout the year including major events like the Celebration of Lights fireworks show, and the Vancouver Polar Bear Swim which is the oldest and largest one in all of Canada. Only a few minutes of walking distance away, a large Inukshuk and the A-aze-ing Laughter statues are classic photo backdrops for tourists visiting the city. 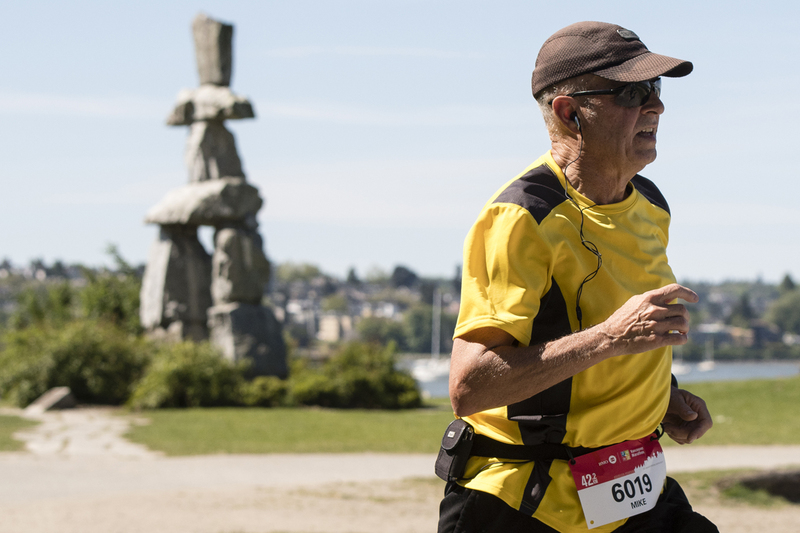 BMO Vancouver Marathon runners will pass both pieces of art en route to the final leg of the race on the Stanley Park Seawall.